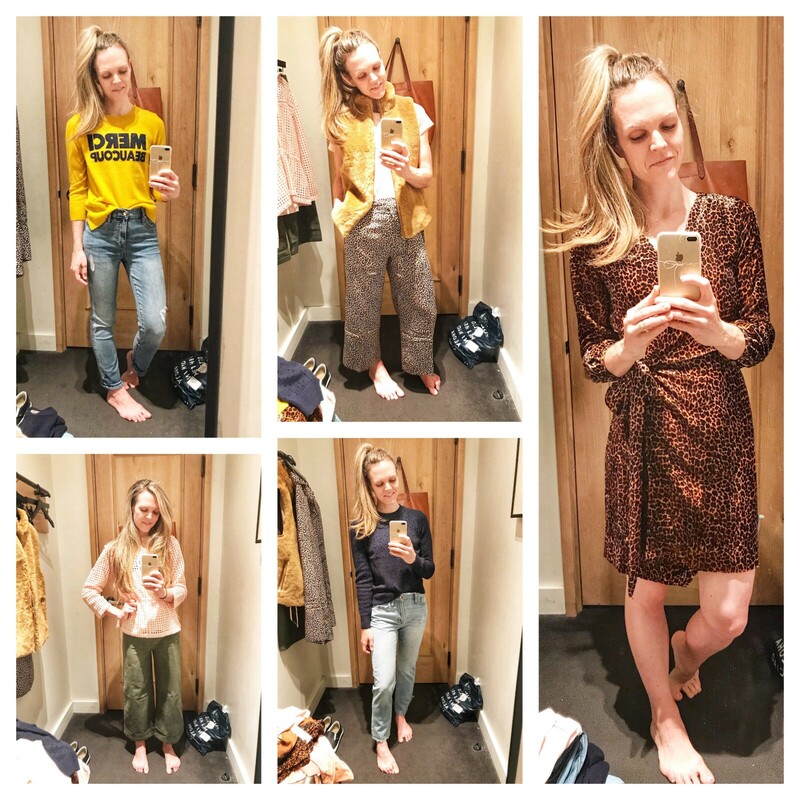 if you follow me on instagram, you know that i popped into urban outfitters on tuesday to do a mini try-on. 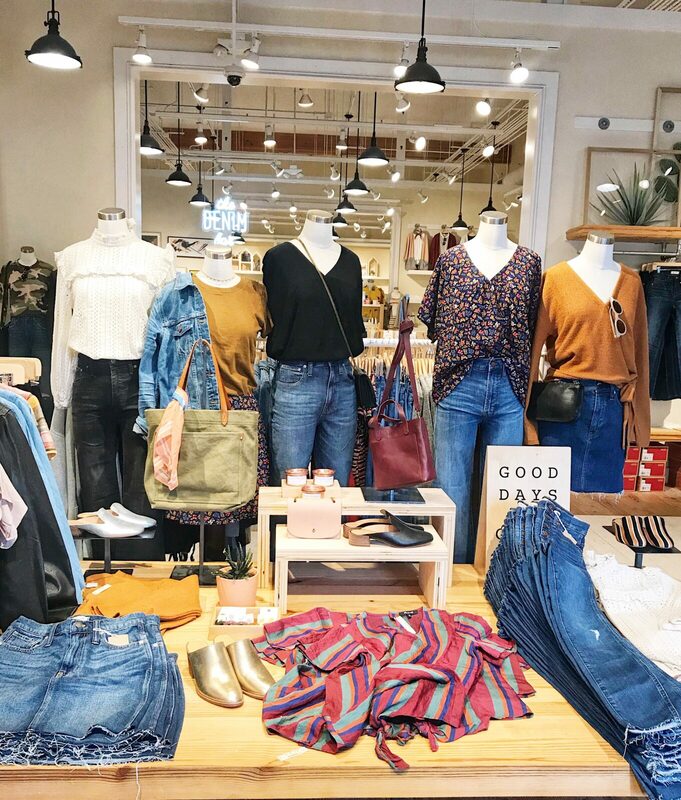 as one who hardly shops there, it was fun to take a break from my usual haunts -madewell and j.crew. 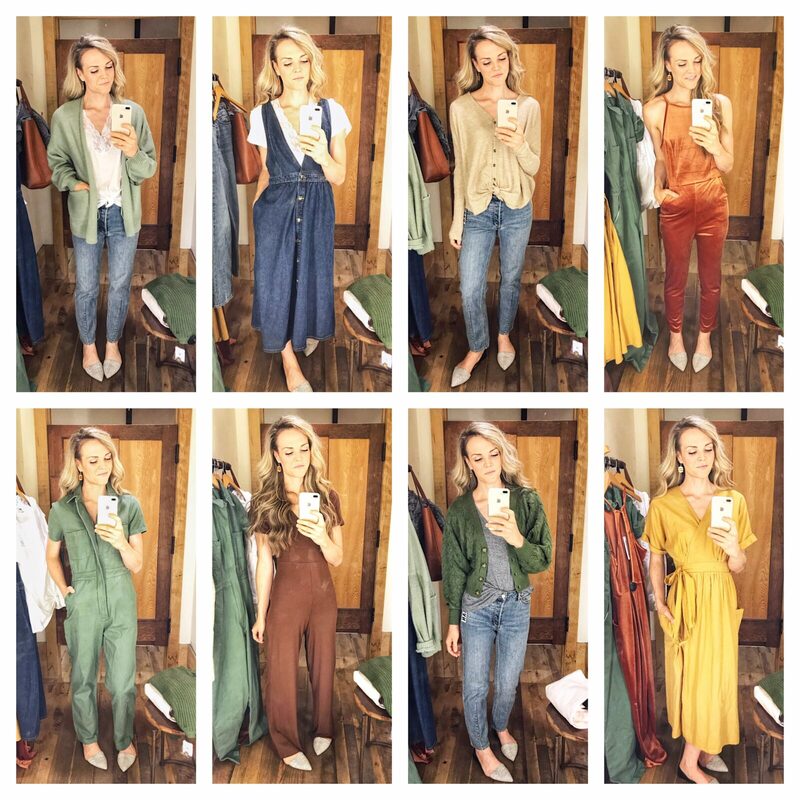 while i found a few items that could easily become wardrobe staples, the real stars of the show were the novelty items i insisted on modeling if only for the laughs (looking at you velvet jumpsuit). i’ve already linked everything on liketoknow.it, but as always, i wanted to share the details here as well. enjoy! 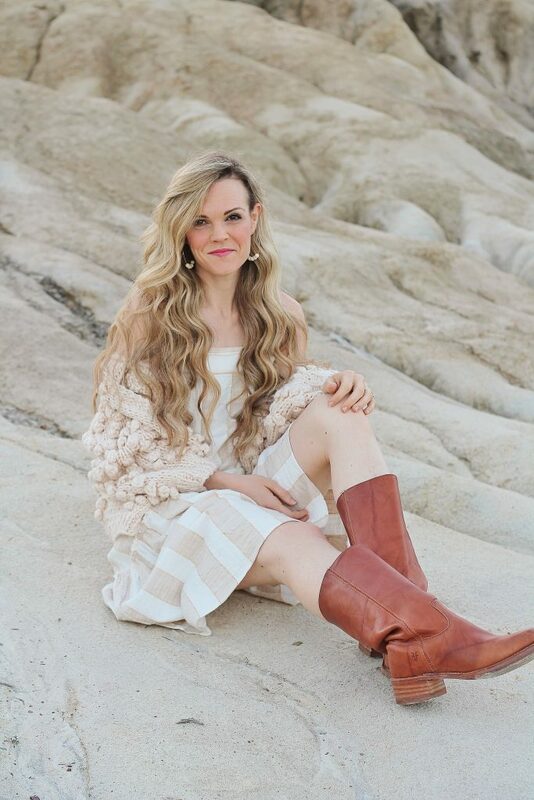 clara cable knit cardigan (small) || do you remember shrugs?! this sweater totally reminded me of those cropped sweaters of yore. when i had spotted the cable knit online, i assumed it was a more traditional length. unfortunately it was much shorter in person. ultimately i still tried it on for its dreamy olive color and the button detailing. if you’re on the more petite side, it could be much more length appropriate, or it would also be cute worn buttoned all the way up with a little bralette peeking out. bdg straight leg jeans (25) || though these jeans give me slight 80’s vibes, i fell in love with the fit immediately upon slipping them on. 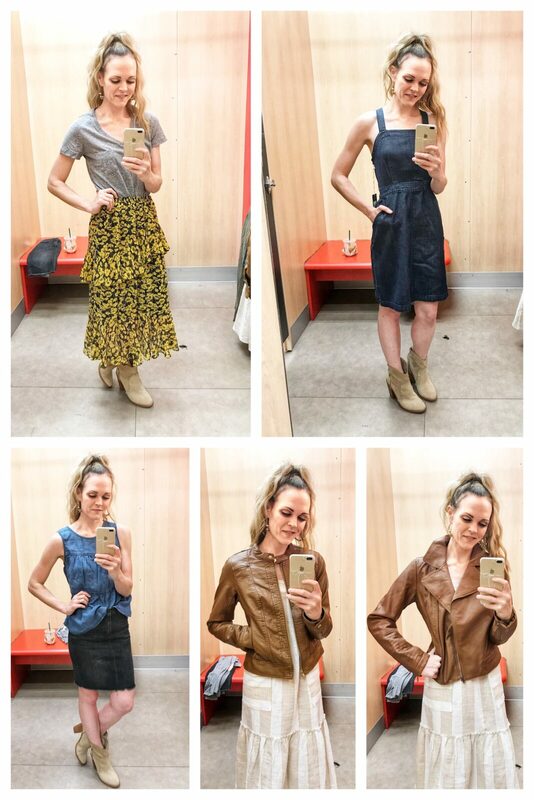 i have heard great things about the bdg brand for years, but this was my first experience with them. but based on this pair alone -i’m certain it won’t be the last time i sport their denim. they do fit generously, so be sure to size down one size for a truer fit. i loved the high-rise and (surprisingly) the straight-leg silhouette. the best part of all? they’re under $65! size verdict: run large, size down one size. 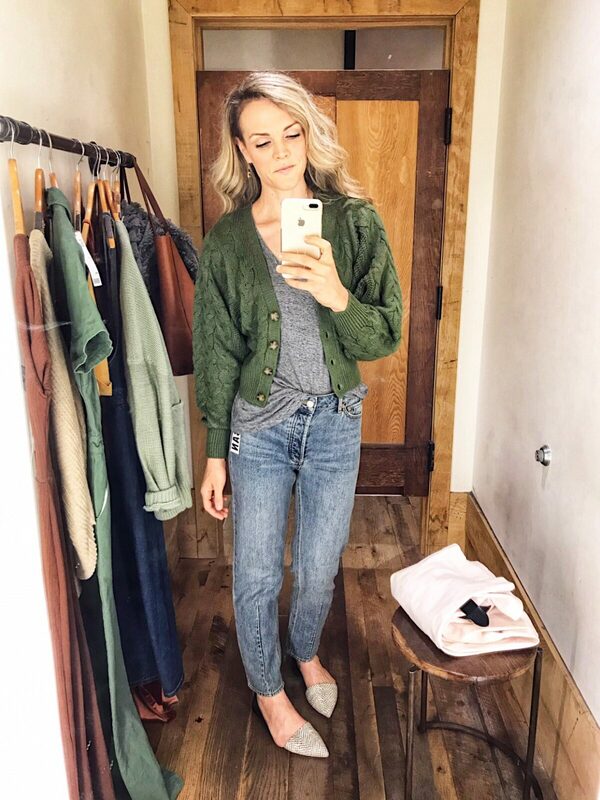 out from under jojo oversized thermal button-front top (small) || one of my favorite bloggers wears this thermal all the time (and looks darn cute in it), so i was excited to finally try it for myself. it’s super similar to this one from abercrombie that i’ve also put in my online shopping cart a handful of times without ever following through. while i loved the oversized shape, the sleeves were oddly narrow. overall the fit was off for me, which was a bummer considering how soft it was. looks like the i need to see how the abercrombie version stacks up! size verdict: meant to fit oversized, so i’d stay with your normal size (it’s also a little tight in the arms). 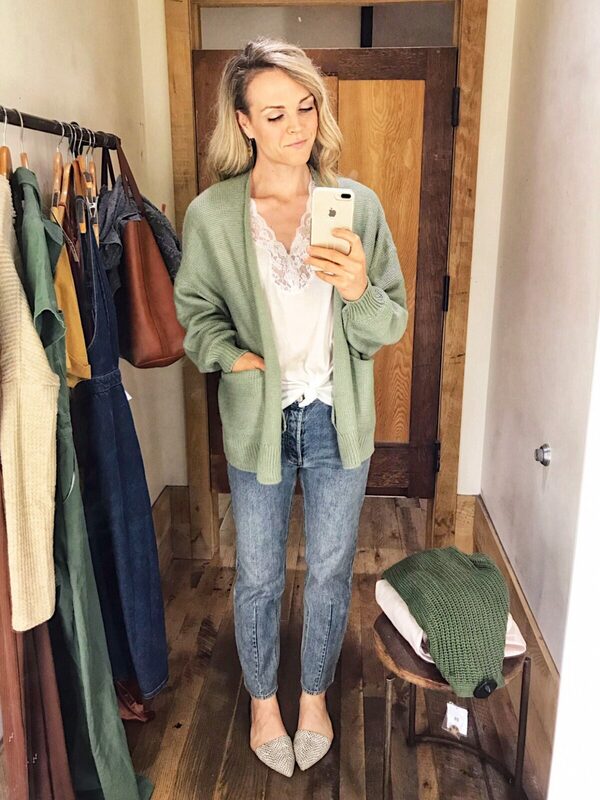 venus lace trim v-neck top (small) || i originally grabbed this top to try on under the cardigan, but i love that it’s a feminine take on a classic tee. unfortunately it was extremely see-through (at least in the white, it comes in a bunch of other colors) and runs quite big. otherwise, the lace and knotted hem are charming details. size verdict: runs large, size down. 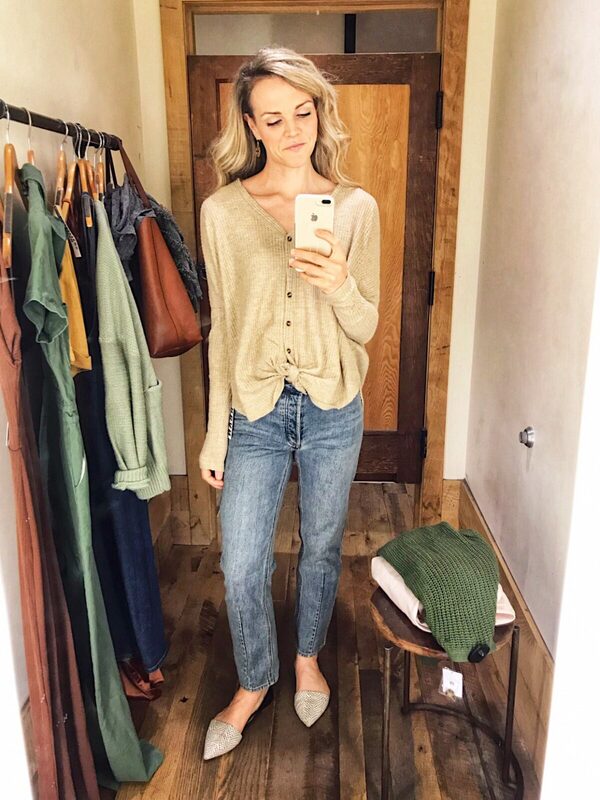 colie open-front cardigan (small) || for someone who normally steers clear of cardigans, i’m becoming quite the convert these days. after spotting this open-front style at target, i was intrigued to find a similar style at urban (of course for double the price). however, what the latter lacked in affordability, it made up for in quality. this sweater was cozy and not itchy at all. i loved the mint color but ultimately decided to continue to search for something slightly longer (with a more kimono silhouette). 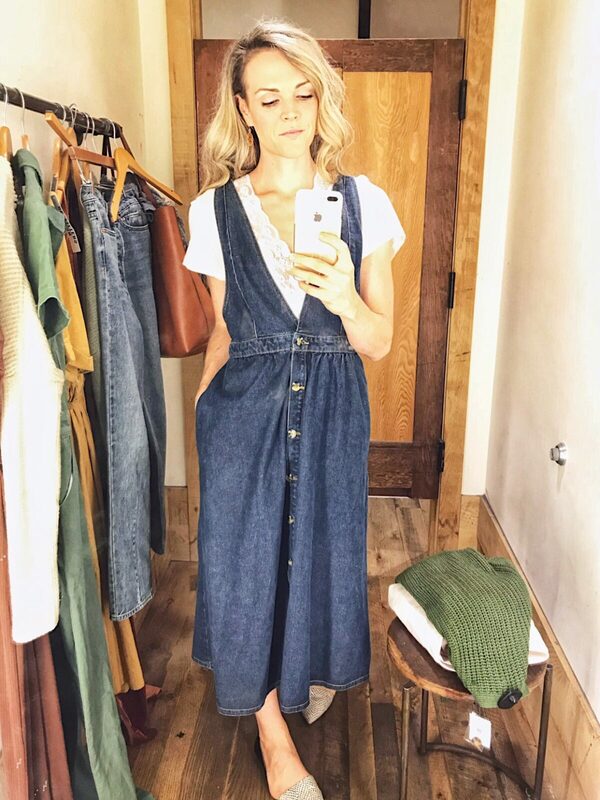 danny plunging button-down denim midi dress (small) || you know i’m a sucker for a denim dress/jumpsuit so when i spotted this button-down dress on the sale rack (which was an additional 30% off that day), i couldn’t help but bring it into the dressing room with me. i loved how cute it looked with the lace tee layered underneath and could envision it paired with a thicker knit and booties for a true fall ensemble. however, it was a little too big in the waist and the midi length felt a little little house on the prairie for my taste. 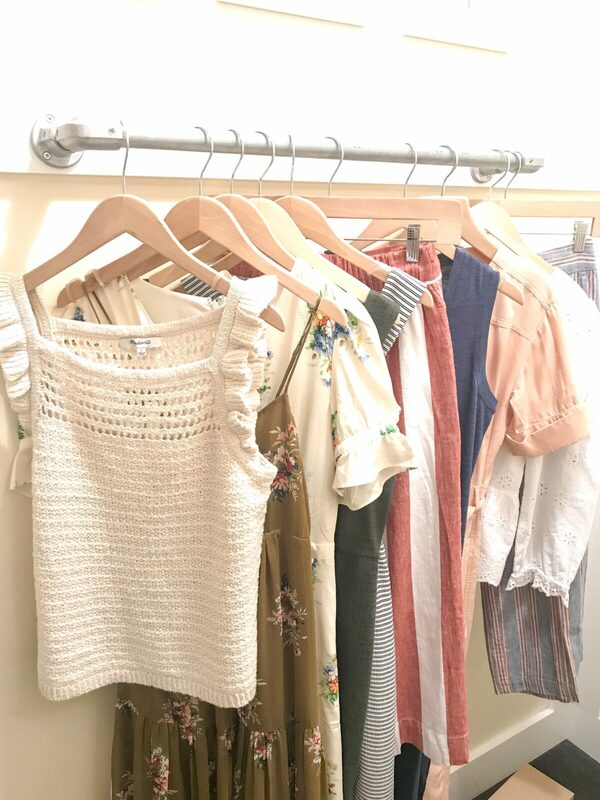 as one who tends to be bamboozled into buying things when they’re offered at a discount, i made sure to take a second to assess if i could really see myself wearing the dress outside of the confines of the store. the answer was a strong “maybe..” so because i wasn’t 100% in love, i decided to leave it behind. but i won’t deny that it’s an adorable piece that could be remixed a zillion different ways. size verdict: runs a little big, consider sizing down. canvas flight jumpsuit (small) || just call me maverick. either way, this jumpsuit gave me all the top gun vibes. honestly, i wish i had a halloween party to go to because i would have had an excuse to go as tom cruise’s iconic character. i was pleasantly surprised by how much i loved this jumpsuit, especially since the silhouette is much more masculine than i typically wear. not only was it extremely comfortable, the inseam was ample enough to accommodate my longer torso. it kind of reminds me of madewell’s wide-leg utility jumpsuit but with a zip closure instead of buttons. honestly as i type this, i’m starting to think that perhaps i should go back and give it a second chance. 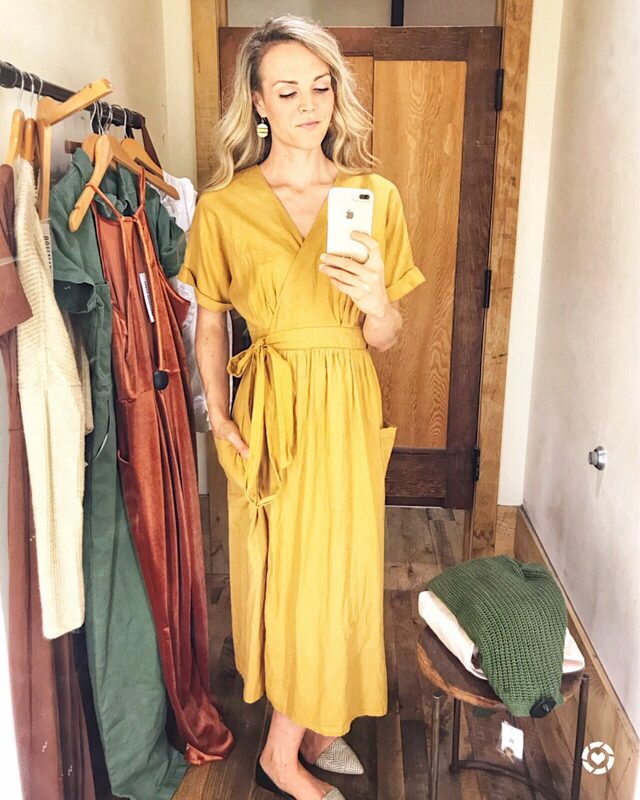 it would be such an easy and versatile piece to style for fall -i’d pair it with a denim jacket, leopard flats, and a beret to add in a feminine touch. 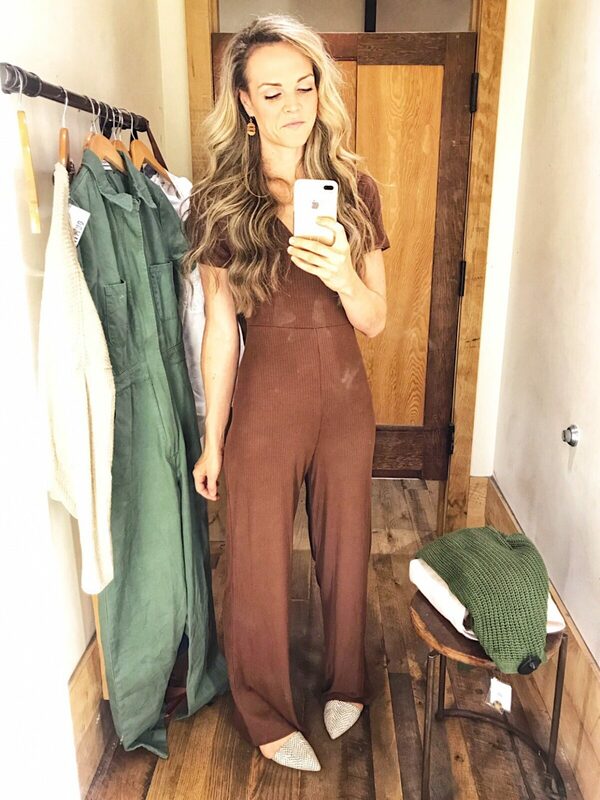 ribbed knit v-neck jumpsuit (small) || i’m not used to wearing such clingy fabrics so the next two jumpsuits were definitely a step outside of my comfort zone. albeit very comfortable, this ribbed knit was a little too brown and a little too retro for my liking. naomi velvet jumpsuit (small) || of all of the items i tried on, this velvet number wins for providing the most entertainment. oof -orange velvet, what was i thinking? ironically, i received quite a few messages singing its praises and encouraging me to buy it (thank you for the flattery! ), but ultimately it was a little too “ooh la la” for my typical uber feminine style. velvet can be so fun for this time of year, but i think if i were to snag something in the seasonal fabric, it would be in a wide-leg silhouette or perhaps something a bit more subtle -like on a shoe or clutch. gabrielle linen midi wrap dress (small) || last but not least, this dress. a frock i have literally been [ ] close to buying at least three times. i’m so glad i’ve held out this long because in finally having an opportunity to try it on in person, i can see that it’s just not best suited for my body type. wrap dresses tend to be a tough silhouette for me as the ample fabric tends to overwhelm my frame. granted i tried on the small versus the extra-small since they didn’t have the latter in the store in the mustard shade, but even if they had had the correct size, i still think it would have been a miss overall. however, if wrap dresses are YOUR jam, objectively, this one is a great option. it’s breast-feeding friendly for your new mommas, comes in an array of colors, and is under $80. 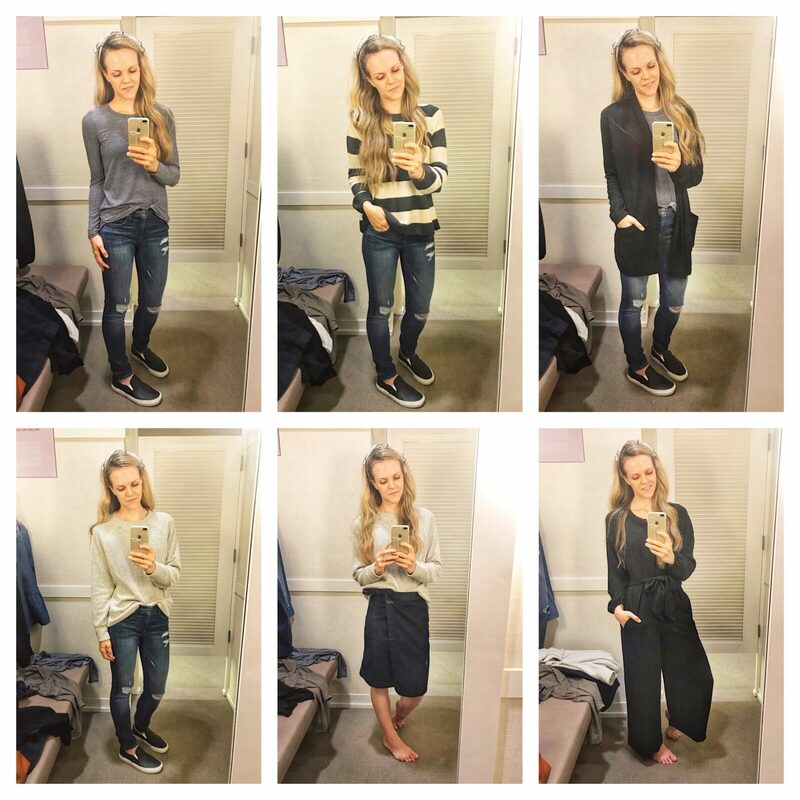 size verdict: true to size, consider sizing down if you’re on the petite side.